Percy Bysshe Shelley, a very popular and successful poet who lived from 1792 to 1822 once said, “Poets are the unacknowledged legislators of the world”. I do not know about poets being legislators of the world, but I do agree with him that they are indeed unacknowledged. A lot of the world’s poets are indeed unacknowledged. One of them is Uncle Sipet, born Edwin Muketiwa Msipa 39 years ago in a family of five children in Harare, Zimbabwe. Edwin attended Rukudzo Primary and Kambuzuma High Schools. After his completion of his ‘O’ Levels, Edwin initiated Fire Fire Theatre Production in the high density suburb of Kuwadzana in Harare. The group performed dramas and dances at schools from 1993-1996. He later partnered with Maizon Tazvitya, a musician who now has his own band. The pair performed two men acts at various festivals in Mashonaland West Province. Edwin’s vast knowledge and experience in drama and traditional dance fuelled invitations to adjudicate in schools around Harare, Makonde, Zvimba South and North. This he did from the mid-90s to the present. He became the head of Porta Primary School and he is also the founder of Porta Secondary School. In 1998, Edwin and Tinashe Muchuri, a writer and editor facilitated a children’s book, ‘Do Not Look Down On Us’. It was written by Porta and Dzivarasekwa Squatter Camps’ Children. The project was supported by Cathrine Weisner from Inter-Country People’s Aid and Save the Children UK. The book is a lament by these children, a plea to the society to be treated the same way as other children. In 1999, he wrote a children’s play, ‘Zorodzai’. It is a play on Child Abuse and its toll on children. The play was highly recommended by Tsitsi Dangarembga, a renowned film-maker and author, in the ZIBF’s children’s section. Edwin’s passion for arts saw him organising Arts Festivals in collaboration with the late Tisa Chifunyise, a talented writer and wife of veteran play-writer, choreographer, director and actor, Stephen Chifunyise, Save the Children UK, National Aids Council, Together As One Productions led by Director Washington Masenda, NACZ, MOESAC, local schools, Inter-Country People’s Aid and the local corporate world. Their first event was Mugariro Winter Arts Festival which was held in 2000 at Porta Farm. Later on, Edwin got training on hosting arts festivals and he also trained as a centre co-ordinator under the Chipawo/SIDA Program at Domboshawa Training Center in 2000. He then started running the Porta Centre and was later promoted to run the Save the Children UK sponsored arts programme under the guidance of Tisa. In the same year, Edwin founded Simukai Arts Family (SAFA). It is an arts organisation registered with the National Arts Council of Zimbabwe (NACZ). Some of the objectives are to identify arts talent at an early age, develop and nurture it. Another objective is to instil confidence among children and youth in general through performing arts. Employment is also being created and art is being used as a vehicle for dissemination of information on challenges that are faced by children and the youth. SAFA does various activities which include creating, organising and running art events and workshops. They also host Arts Festivals such as their annual Culture Day held in May. SAFA also does other activities which include theatre, dance, both modern and traditional and consultancy work among other things. Some of SAFA’s young members have been invited to perform live poetry on Zimbabwe’s national television, ZBC’s YGT programme. SAFA has co-hosted Mugariro Winter Arts Festival in collaboration with Together As One (TAO) from Highfields, Harare, Save the Children UK, Inter-Country People’s Aid, National Aids Council and NACZ in 2000 at Porta farm Squatter Camp. SAFA’s members also assisted in creating Nyadire Teachers’ College Arts Ensemble which performed at various platforms in Zimbabwe from 2001-2003 and won many accolades. This is also the same time that Edwin was enrolled at the teachers’ college, where he met Fidelis Mherembi, founder of Yotinhira Between 2004 and 2008 SAFA organised workshops in traditional dance, poetry, drama and choral music for teachers and pupils the arts in schools in Mashonaland West Province and Harare schools. In 2009, Edwin joined Nhasi Mangwana Zimbabwe Traditional Organisation (NMZTO) as a traditional dance trainer and festival management team member. At NMZTO, he teamed up with the late mbira guru, Taku Mafika who taught mbira, renowned poet and teacher Trust ‘Ticha Muzavazi’ Mtekwa and Mipross Charles among others. In 2010, Uncle Sipet started teaching full time at Uniting College in Kuwadzana where he facilitated the HIFA performance by his group at the youth zone. Edwin is also a host to the ‘Lyrical Day of Poetry and Arts’, an event he created and has seen over 50 schools participating. Edwin organises a reading program at Hopley School where he creates a theme, writes short stories and poems and encourages children and their parents do the same. In 2011, he was nominated in the Newsday Shaina Award for education achievement in communities. Uncle Sipet has written approximately sixty poems to date. His poems are educative and informative. Some of these poems include ‘Ungavakike sei’, ‘Rudo chete’, ‘Mheni paChitungwiza’ and ‘Pferere Pferere Ngatitandanisei rima kani’ among others. He has also written tributes to the late Vice President of Zimbabwe, Cde J.L.Nkomo, and the late Zimbabwean soccer star Adam Ndlovu. He is at the moment looking for sponsorship to publish his work. 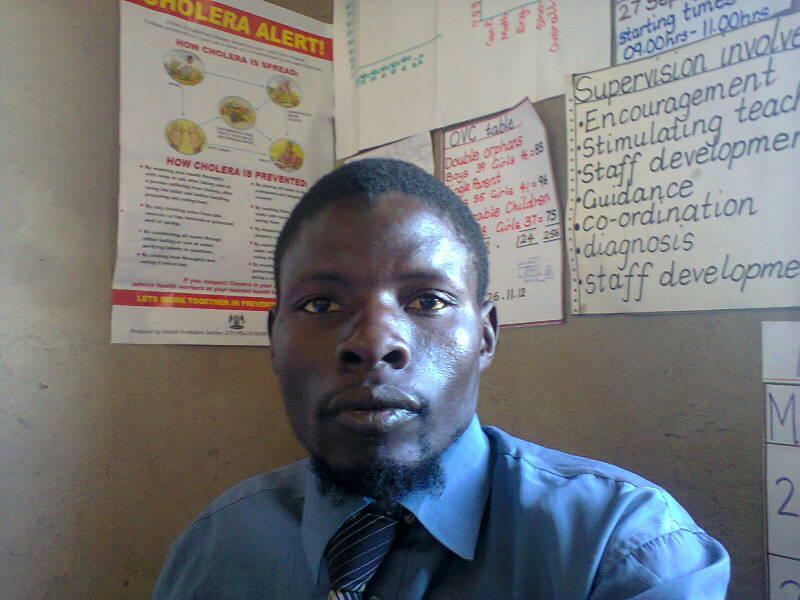 Edwin also works as a schools coordinator with the Zimbabwe International Book Fair(ZIBFA),since 2011 to date. In this capacity,he invites school children to attend the live literature and the reading tent. Currently, Edwin is the headmaster of Hopley Primary School and is coordinating with The Harare City library with the support of Mr Dube the librarian, Mr Masunda his assistant and Thuthani Moyo the resident poet, writer and storyteller in giving primary and secondary school children in Harare a chance to learn and read for fun and enjoyment. This program is every Tuesdays to Thursdays from 2 in the afternoon to 3.30. 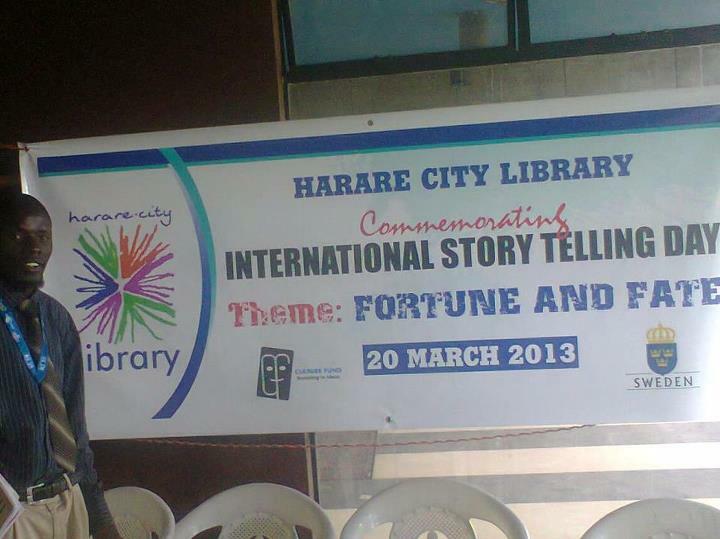 He is also Harare schools chapter chair of Zimbabwe Academic and Non-fiction Authors Association (ZANA). There is a crying need to document our contemporary history by acknowledging our unacknowledged legends. We need to recognise, appreciate and uphold those amongst us whose lives and works are African mentors. Constance Van Niekerk’s rendition of poet maestro Edwin Muketiwa Msipa (a.k.a “Uncle Sipet”) sojourns is commendable. Taking what feels like a well researched, “I-was-there” approach, her delivery is both captivating and pleasant to follow. We need to sing our unsung heroes. This blog I will recommend to all and sundry. Keep it up mai Constance Van Niekerk. Keep it up my brother loving your works. Very nice article Constance. I had never heard of this guy, thank for “digging them up”.